The Supreme Court of the Philippines voted 9-5-1 in favor of allowing former President Ferdinand Marcos at the Libingan ng mga Bayani. It was a ruling that shocked a nation and pleased the Marcoses and their supporters. The decision made Imee and Bongbong Marcos grin from ear to ear and the Martial Law victims and their relatives cry once again for justice. In a press briefing by the SC Spokesperson Theodore Te, the following reasons were cited for allowing the Marcos burial. *On the issue of moral turpitude: Marcos has not been convicted by any final judgment and the cases cited were all civil in nature. 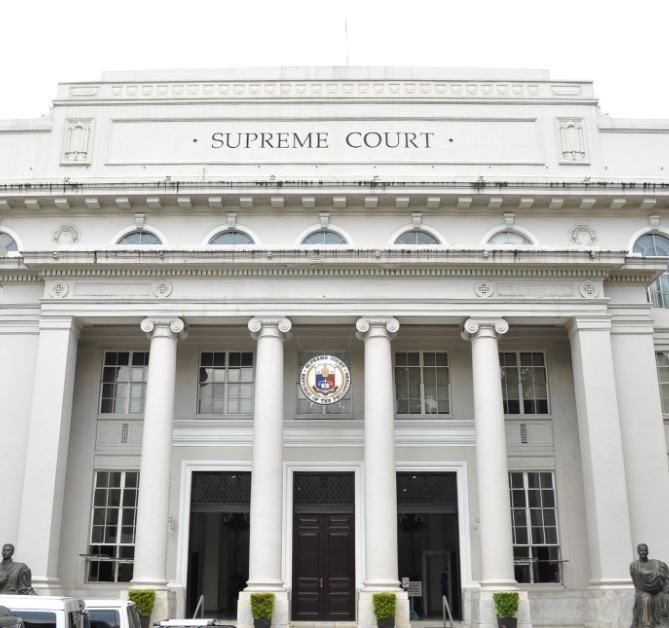 Several senators have expressed their dismay over the SC decision including Senate President Aquilino "Koko" Pimentel III, who said that "no court case will make somebody a hero in the hearts and minds of the people". Senator Francis "Kiko" Pangilinan, in a strongly worded statement on his website said, "No less than our Supreme Court wants our citizens, our children to honor a plunderer and a tyrant." Senator Leila de Lima described the decision as "another insulting and unjust blow on the thousands of victims of human rights violations during Martial Law." Senator Grace Poe and Senator Joel Villanueva were also disappointed with the SC decision. Meanwhile, Sen. Panfilo Lacson says the country should "move on" while Senator Angara tweeted that court decisions should be respected whether we agree or not. VP Leni Robredo also lamented the SC decision saying, "Our nation’s healing begins with the acknowledgement of the truth and resolution of the past. To bury Marcos in the Libingan ng mga Bayani would keep the wounds of the past unhealed." The SC ruling is still a very hot topic on social media as of this writing, with the hashtags #Marcos #NeverAgain #MarcosNotAHero landing on the list of trending topics on Twitter. Other related hashtags were also trending #VP Robredo #Martial #Sandro #Bongbong #Mga Bayani, #Pilipino, #Hero #MarcosBurial and #EDSA Revolution. A lot of netizens are asking, is there still a point in celebrating the EDSA Revolution after the Supreme Court decision favoring the burial of Marcos at the Libingan ng mga Bayani? Gives one a food for thought.